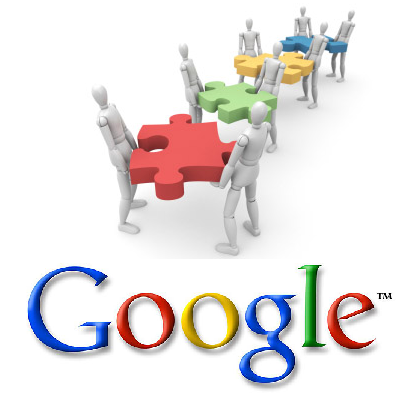 Quality backlinks play a very important role in the search engine optimization of any site. Backlinks refer to links on other websites pointing to yours. So how do you go about getting them? If your web content is good, people are likely to begin linking to it. The more backlinks your site has, the better. However, it does not always follow that if you have great content, people will always want to link to you. This means that you might not be able to promote your website successfully through the natural way of building backlinks. You will then have to figure out alternative ways of getting quality backlinks. And even if you get many backlinks through the natural way, you could always use additional backlinks. Some of the acceptable methods of building links are through posting in forums, article directories, and blogs. The unacceptable methods (at least to Google’s eyes) include linking to link farms, buying links in bulk, linking to spam sites and interlinking. When building backlinks, you should first find out where you can obtain quality backlinks. There are several free tools online which can help you identify these sites. Once you have several prospective backlink partners, you should then post your content on each of the websites. Make sure your posts have a backlink to your site. If you want to want to enjoy a strong web presence, you need to get listed in online directories such as Yahoo and DMOZ. Besides getting quality backlinks, you will also get noticed by potential visitors as well as search engines. Usually, search directories will have you listed for free. However, it might take weeks before getting listed in your preferred category. Usually, search engines index forums. Therefore, posting in blog and forums is a great way of obtaining quality backlinks with your preferred anchor text. If the blog or forum is credible, the backlink will be valuable. However, if your post does not adhere to the blog or forum policy, the administrator might edit or delete it. Though posting in forums is relatively easy, submitting articles to directories (an essential part of article marketing) takes much effort since articles are longer and require more research. You can get quality backlinks through affiliate programs and content exchange programs. For example, you can offer RSS feeds for free to interested websites. When your RSS feed appears on the other website, you will obtain a backlink. Many visitors are then likely to visit your site for more information based on what they see on the other website. Affiliate programs are great not only for getting quality backlinks, but also for getting more buyers and visitors. There are many websites which publish for a fee or for free press releases and news announcements. A well written press release regarding an event can attract many visitors and build backlinks from credible sites to yours. However, unless you have a newsworthy event, press releases will not work for you. Link exchange is one of the practices that should be avoided. This is where other sites offer to barter links with you. When it comes to link exchange, there are some vital things you need to consider. First, consider the ratio between inbound and outbound links. Your outbound links should not outnumber the inbound links. Second, there is a danger that you could be dealing with link farms. In such a case, you may end being banned by search engines. You should also avoid linking to suspicious sites. Linking to such :bad neighbors” can be detrimental to your SEO efforts, especially in light of Google’s recent Panda Update. In addition, be wary of getting lots of links quickly since this will look suspicious and artificial. About the author: Charles Mburugu often writes about social media, technology and blogging tips. Currently, he is writing for easy website builder.